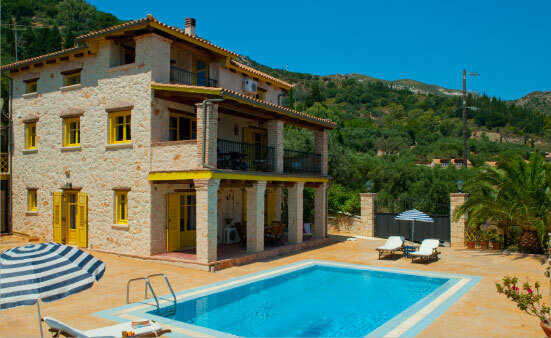 Luxury Villas Zakynthos are located in close distance from the capital of Zakynthos, and more specifically in the beautiful areas of Vassilikos and Lithakia. Our villas, “Iliaktida”, “Evi”, “Yiannis”, the apartment “Athina” and the “Small House” are here to offer you the holiday of your dreams. 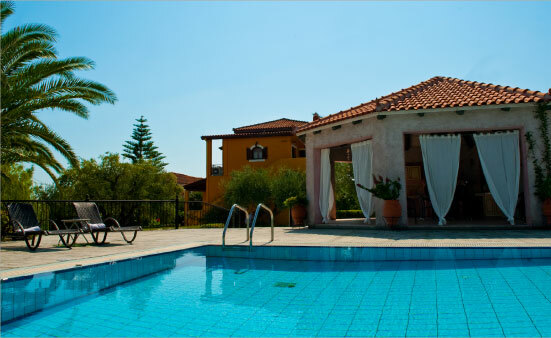 Villa Iliaktida is located in Lithakia, with a private swimming pool and a large garden and can accommodate 8-10 people. In the area Xirokastelo, at Vasilikos village, turning at the private road leading up to the villas, you will first see Athina apartment, with a private swimming pool, which can accommodate 4 people. 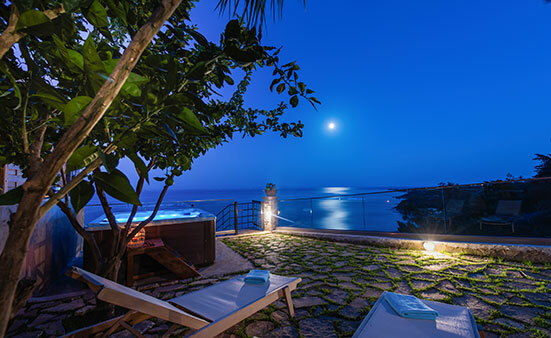 The next one is Villa Evi, a three-floor stone house with private swimming pool which can accommodate 8-10 people. 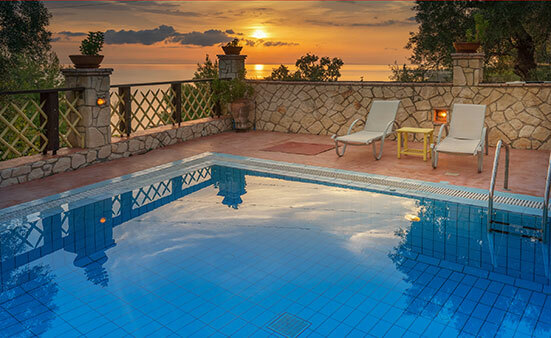 A little further down towards the beach you will find the colourful villa Yiannis, with a private pool, which can accommodate 4 people. To the right, next to villa Yiannis, you will see the Small House, with a 6 seat outdoors hot tub, which can accommodate 2-4 people. 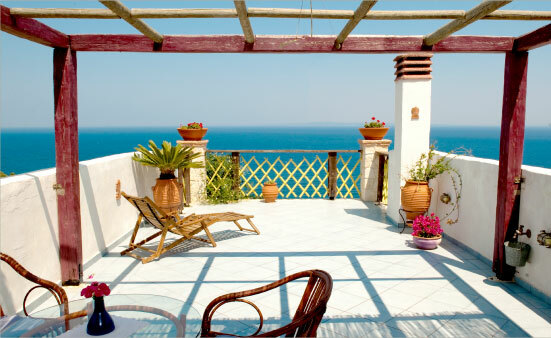 Villa Yiannis and the Small House may also be rented together (there is a door connecting the two houses), creating a property ideal for 6-8 people. Enjoy the interior design, the unique handcrafted furniture as well as the wonderful view all around. Indulge in the lush green scenery, walk the golden beaches, enjoy the crystal clear water of Ionian Sea, live the island magic and relax. We wholeheartedly wish you an unforgettable stay.